Today is my first night at home relaxing after at least a week of being sociable, which is totally against everything I believe in, but also the reason why I'm so late posting this/anything else! Ever feel like you spend more time thinking about things you need to do than actually doing them? Yeah, that's me at the moment. But anyway, nail art! Purple! Last week the prompt for The Lacquer Ring linkup was purple, hence purple nails. Given it's probably the most ubiquitous colour in nail polish land it was hard to pick just one, so I picked three. Also a yellow, because I need some sunshine while winter crawls by. 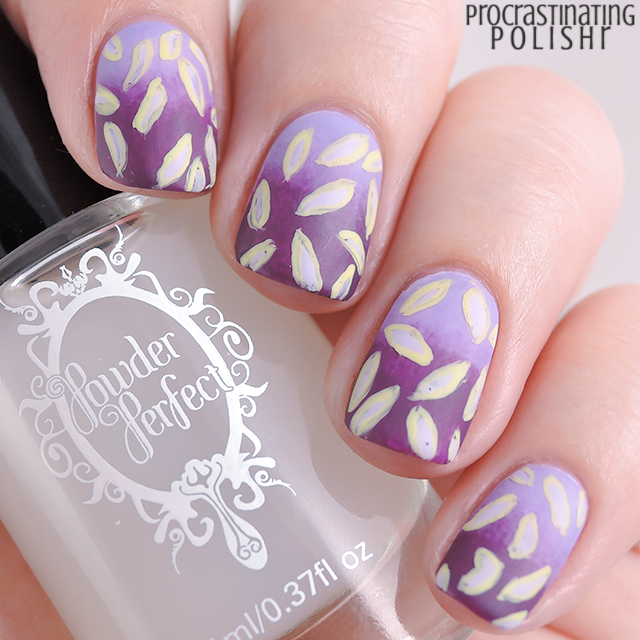 The print was inspired by a random piece of origami paper I saw in a pack at the book store. I've been a lazy reader lately but I do love browsing the design and art books full of endless inspiration. As with just about everything these days, I made it matte. I'm starting to feel like maybe it's a crime to leave things glossy, matte just soothes me. 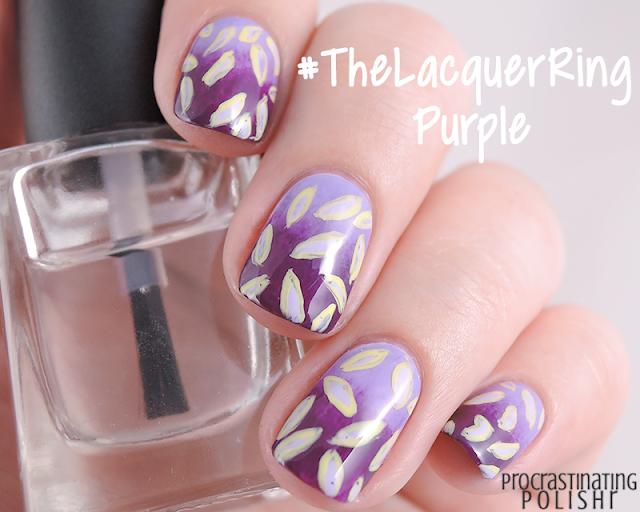 Check out more purple nail art by The Lacquer Ring below!